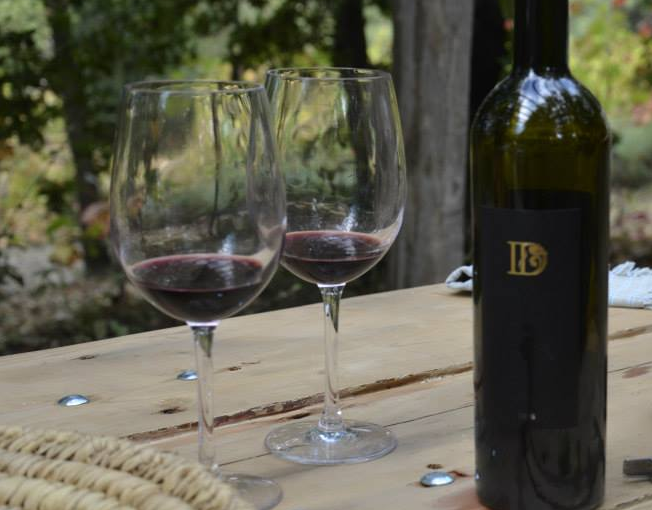 The wine has dense dark forest fruit aromatics with hints of spice. On the palate, the wine is bursting with fresh raspberries, cherries and stewed plums, with a velvety soft texture and layers of vanilla and subtle oak. Nestled among ancient oaks, and equipped to serve up delicious surprises and invigorate the senses, our intimate wine tasting room is located in the midst of our Btalloun vineyard, a scant 40 minute drive from the heart of Beirut. The tasting area opens onto an undisturbed tree-shaded area where you could charm your friends with a glass of wine around an open fire, or enjoy a night of live music under the stars.